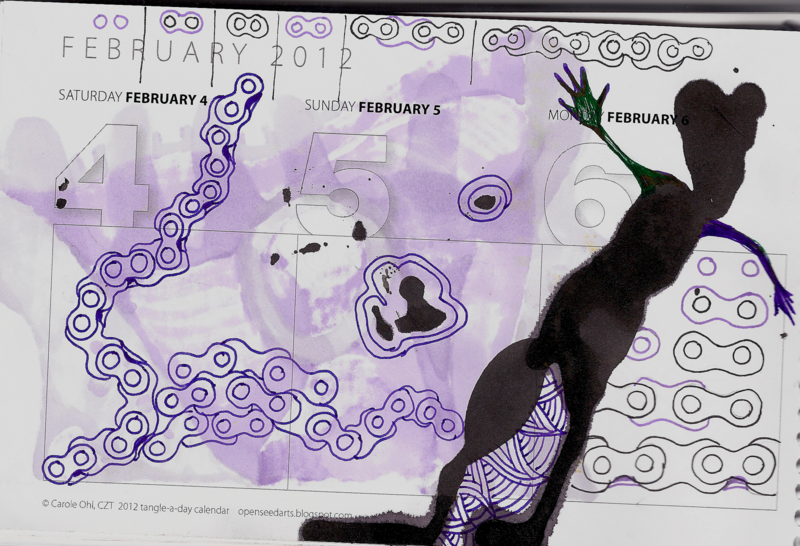 There is still time to enter my giveaway for a chance to win one of Carole Ohl’s Tangle-a-Day calendars. The giveaway closes tonight at midnight PST (when 1/22/12/ becomes 1/23/12). I’ll announce the winner sometime tomorrow. Meanwhile, my latest tangle, Roller, comes from my adventures in molding items with Amazing Mold Putty. Nothing was safe until I ran out of that stuff, I tell you! I was making molds of everything, including the roller chain on my bicycle, lol! I can’t wait to share some of my projects in upcoming Creative Paperclay® posts, including my very first blog hop on February 1st. (There will be prizes, including both Creative Paperclay® and some Amazing Mold Putty!). First I want to share my first attempt to draw up this pattern. I was going to tangle using a new fountain pen that I got free with the purchase of some ink. With most of my fountain pens, the cap screws off, and I automatically started unscrewing this one. Oops. The cap on this pen pulls off. If you unscrew it, you open the reservoir of ink. *sigh* I opened the reservoir of ink. So, I’m working on a save, and you’ll see this page again later. I had to stop because I realized the ink hadn’t dried all the way through, and the paper was still too soft. The only thing I added after the ink incident was the arms and the auras around the smaller ink blotches. The ink did bleed-through a couple of pages, but nothing was messed up badly. It’s a good thing I don’t believe in evil witches though, because this ink blot sure came out looking like one, lol! It’s the Wicked Witch of the Ooops! So I redid the steps to my pattern. 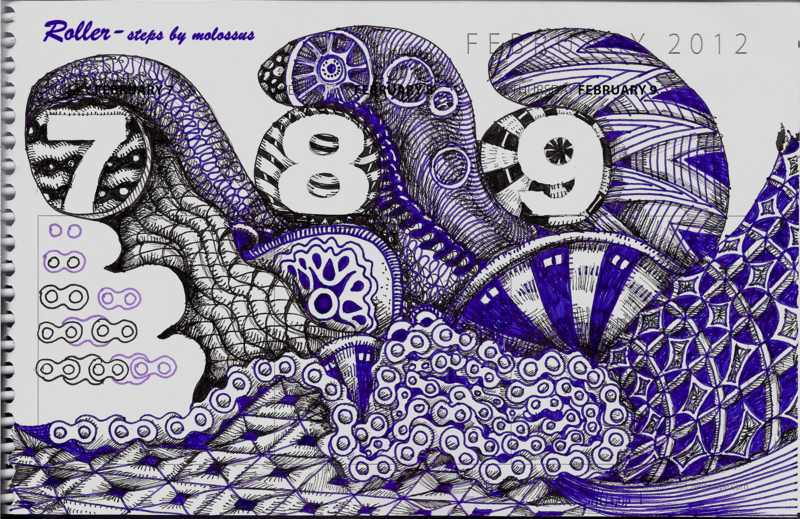 This one was tangled with a fountain pen using Noodler’s North African Violet, and Micron Pigma pens. For some reason this scan came out looking much bluer than it is. It’s actually the same purple as in the Oopsie scan above. Previous Post: Creative Paperclay® blog hop!